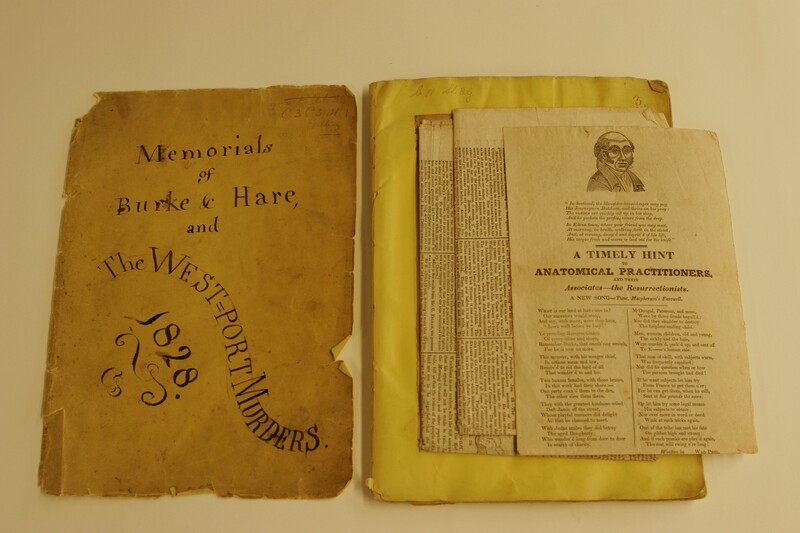 Over the last month, conservation has been playing host to two rather notorious and unsavoury characters, namely William Burke and William Hare. 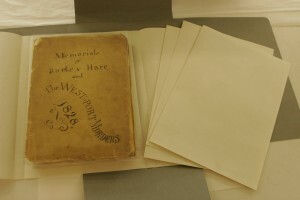 Thankfully for us not in person but rather in the form of a scrapbook containing original documents and cuttings from their capture and subsequent trail and execution. 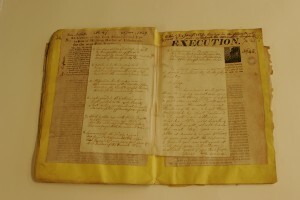 The most interesting and macabre of all of these is a letter written in the blood of William Burke – as it (helpfully) states “This is a letter written with the blood of Wm. Burke, who was hanged at Edinburgh on 28th Jan. 1829 for the Murder of Mrs. Campbell or Docherty. 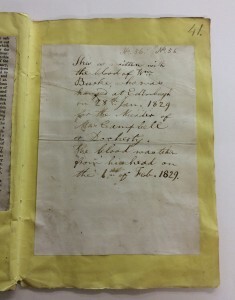 The blood was taken for his head on the 1st of Feb. 1829.” Unsurprisingly, the scrapbook, and this letter in particular, has caused a lot of attention, and has recently appearing in a number of newspaper and websites. I have found myself in the rather unusual position of combining conservation with press calls – the conservation life is not always quite so glamorous! The scrapbook has a pamphlet style of binding with the cuttings pasted into its pages, the larger of which have been folded in order to fit within the volume. 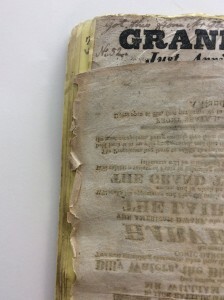 Overall, the scrapbook was in a reasonable condition and it was decided therefore to take a minimal interventive conservation approach with treatment focused on surface cleaning, tear repair where necessary and rehousing. The aim was to stabilise the object allowing it to be stored and accessed with minimal risk, at the same time as maintaining its authenticity. 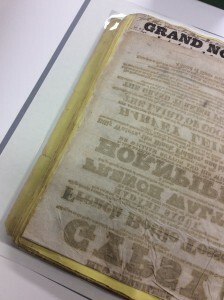 The first stage of treatment was to surface clean the pages. 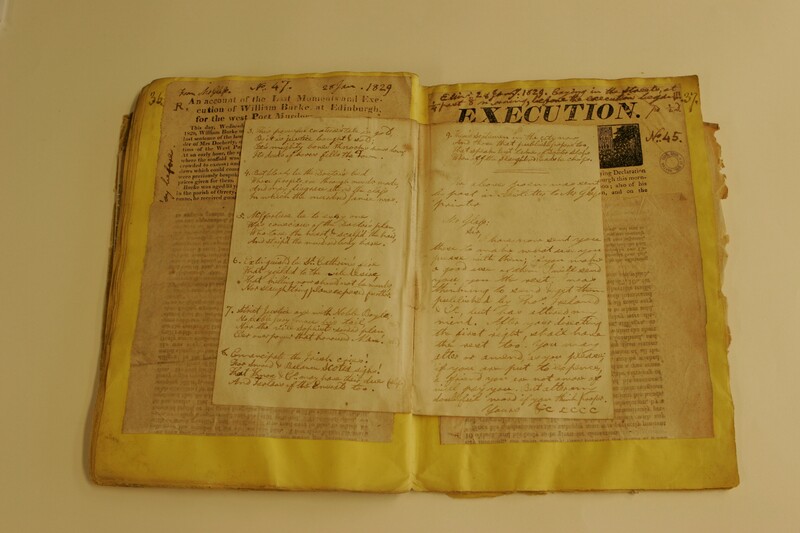 This was done with “chemical sponge” – made of vulcanised rubber which (despite its name) contains no chemicals – which works by gently lifting off any surface dirt on the pages. This has not only aesthetic benefits but, more importantly, will remove any potentially damaging substrates. Surface dirt can contain acidic particulates, cause abrasions, attract moisture, and become a food source of mould, all of which can affect the long-term preservation of the object. Secondly, I carried out tear repairs where necessary using Japanese tissue and wheat starch paste. 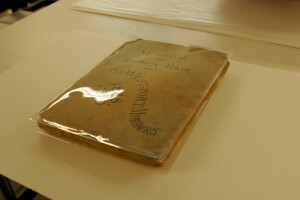 The tears where primarily on the larger format cuttings that had been folded in position within the scrapbook and found in areas where the paper had become weak, especially along the folds or along edges where the cutting has projected beyond the edge of the scrapbook. 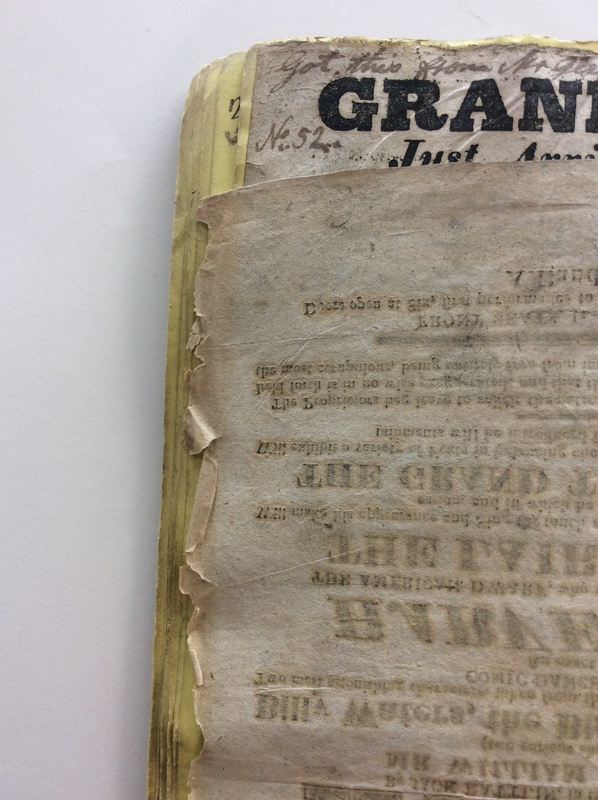 Again, as with surface cleaning, repairing tears will not only improve the appearance of the pages, but will also provide structural stability making the paper easier to handle and reduce the risk of the tear getting caught and becoming worse. The last stage in treatment, and arguably the most important, was to address the housing needs of the scrapbook. As well as providing physical support to the item, choosing appropriate storage has the added benefits of giving an extra layer of protection from accidental damage, as well as acting as a buffer to atmospheric pollutants, dust and light, and any fluctuations in environmental conditions. It is important to know and understand what the materials you are using are made from as poor quality materials that are in close contact with collection items can cause severe damage. Acid from these materials can migrate to the object causing discolouration and embrittlement and hastening the its deterioration. I decided, therefore, to house the detached, fragile and vulnerable front and back covers of the scrapbook in polyester sleeves allowing them to be easily consulted without being removed and so would drastically improve handling whilst minimising the risk of any tears getting worse. 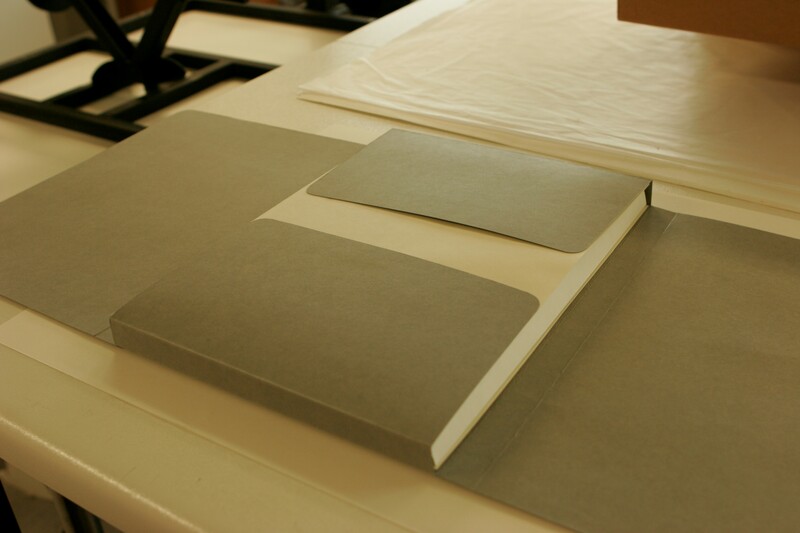 Because of the poor quality and acidic nature of the paper cuttings contained within the scrapbook, the individual pages were interleaved with a light-weight acid-free paper to reduce the transfer of any potential harmful elements within the sheets. The scrapbook itself – alongside some loose-sheet material contained within – were rehoused in acid-free paper folders which, in turn, were placed inside a four-flap enclosure made from acid-free card. The collections of Musical Instrument Museums of Edinburgh (MIMEd) comprise an extensive array of musical instruments from very different periods, geographical regions, and social contexts. Contrary to some of the comparable collections in the world, MIMEd maintains a significant portion of the instruments in playable condition. This provides an invaluable resource for musicians, researchers, and the general public to better understand and appreciate the music played on historical instruments, nonetheless, this involves a great responsibility, and a significant work load to keep the instruments in optimal conditions. 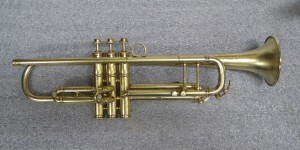 The preservation of such a large and diverse collection involves many challenges: from the understanding and knowledge of numerous materials and their properties; techniques of instrument manufacture through history; treatments to better protect the objects of the collection; to the history of music, musical instruments, and art history. Previous to my appointment as the MIMEd Conservator, I trained as a musical instrument maker and conservator, as well as a musician. 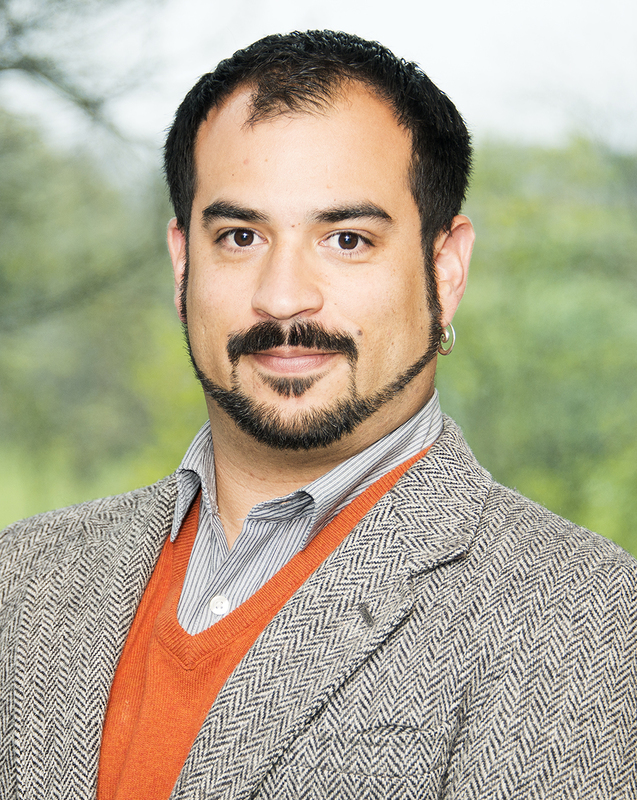 I completed conservation internships and fellowships in distinguished institutions like the Metropolitan Museum of Art in New York, the Museo degli Strumenti Musicali in Milan, and the National Music Museum in South Dakota, where I worked as the Conservation Research Assistant. Currently I am working on a PhD in Organology at the University of Edinburgh. As the MIMEd Conservator my responsibilities include the preservation, conservation, and maintenance of all the objects in the collection. Since undertaking the conservation of the collection, I have had numerous challenging and diverse projects, from cleaning and removing tarnish from trumpets and trombones, getting bagpipes ready for display, to major treatments of a Ruckers harpsichord made in 1609, and a severely damaged mandolin made in 1775. At present the main focus of my work is directly linked to the Saint Cecilia’s Hall Redevelopment Project. The new displays and layout of the museum will exhibit several hundred objects of MIMEd’s collections, and all of them need to be ready to be displayed for the re-opening of the museum in September 2016. Whilst the museum is closed to the public, I have undertaken the gargantuan task of treating every single object to be displayed: anything from dusting, cleaning, and changing strings, to full treatments that can involve several weeks of delicate and intensive work. To achieve this I have been working with volunteers and interns who can help to carry out those simple but time-consuming tasks, whilst learning and building up their curricula. 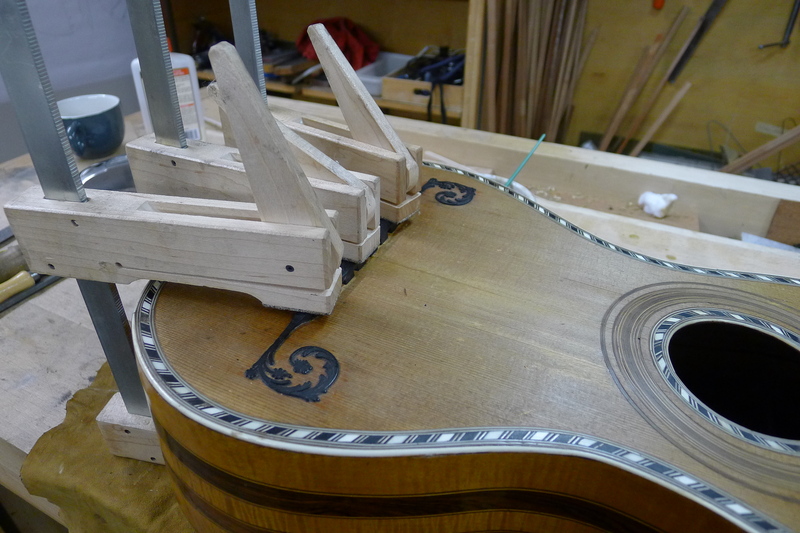 By the time Saint Cecilia’s Hall re-opens its doors to the public, the instruments will reflect all this work by looking as good as they deserve. To be the conservator of such an important collection is a great responsibility, St Cecilia’s Hall and MIMEd have an extensive common history, and exciting changes will take place in the near future with the redevelopment plan. To form part of the staff team of this great institution is both an honour and a pleasure, and I am looking forward to the many projects yet to come.